It is critical to understand medication for bipolar depression. Why is treating bipolar depression so important? As the chart shows, people with bipolar disorder typically spend much more time suffering from episodes of bipolar depression. Episodes of bipolar mania are relatively rare for many people. Study the chart on bipolar symptoms (below right) carefully. This chart explains many misunderstandings about bipolar symptoms. For example, bipolar depression symptoms are over three times more common than bipolar mania. 1. Bipolar disorder is primarily about manic symptoms. 2. Bipolar medications address the full spectrum of bipolar symptoms. In reality there are very few true mood stabilizers that address BOTH depression AND mania. These mood stabilizing bipolar drugs tend to be used for long term maintenance in order to prevent mood swings, or at least reduce the frequency, duration and severity of episodes of mania or depression. The FDA approved mood stabilizers are very few. 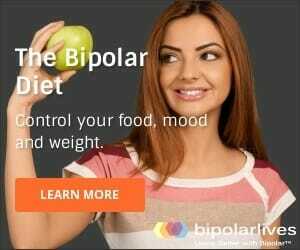 Most of the other medications we associate with treatment of bipolar disorder are in fact quite distinct and effective against ONLY bipolar depression OR bipolar mania. For example, risperidone (Risperdal) and ziprasidone (Geodon) are atypical anti-psychotics that are usually prescribed for controlling manic or mixed episodes, whereas in 2006, Seroquel became the first atypical anti-psychotic to receive FDA approval for the treatment of bipolar depressive episodes. In July 2013 there was a big step forward when Latuda was also approved by the FDA as a bipolar depression medication as Latuda has much milder side effects than Seroquel. Learn more about bipolar depression medications. NOT ALL BIPOLAR DRUGS ARE PROVEN TO BE AN EFFECTIVE MEDICATION FOR BIPOLAR DEPRESSION. After one episode of me showing supposedly signs of being “manic”. My doctor took me off my ADHD (which was just changed the day before this incident from adderall, a medication I’ve been on for years and was doing fine on, to vyvanse). I was upset because the same day she changed my medicine to vyvanse she also changed my son’s ADHD medicine to the same thing just a lower dose and his first day on it he had a horrible day at school so much I ended up having to go get him. I had already told her I wasn’t too sure about him being on vyvanse because he was once on it at too high of a dose and from then on we’ve stayed away from it. So yes him having the day he had I was very upset when I went to see her. Also informed her I didn’t feel like the medication was doing anything for myself. That’s when she said I was showing signs of being manic and stopped any ADHD medicine and started me on lamictal. I feel she over judged the situation. She also with no reason I can think of took me off my Zoloft and switched it to paxil. All the same day that she changed my adhd meds. 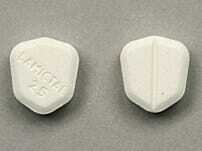 She told me I wouldn’t experience any withdrawals from stopping the adhd medicine suddenly and going to lamictal. I know that is not true. I feel she isn’t listening to me or has already passed some judgement towards me. 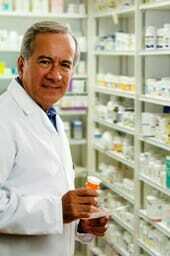 I want ALL my original medications back and to see a different doctor. Does anyone have any input or thoughts on this. Am I over reacting or does it seem like she’s just playing around with my medicine I’ve been on for close to 5 years? During my first hospitalization, I was diagnosed with hypothyroidism. After a couple of years of treatment and therapy, I was diagnosed as bipolar. That was in the mid 90’s. I have been on thyroid medication since then and on Lamictal for the most of the time. After much insistence with my primary care doctor and numerous blood tests, I have recently been diagnosed with Hashimoto’s disease. In Hashimoto’s, the body produces antibodies which attack the thyroid creating an instability in the release of the hormones produced by the thyroid. I feel this has probably been the problem all along. Any thoughts?